Posted on February 11, 2011 by Deborah B. Need something to do with your sweetheart this Valentine Day, stop by Willstan’s Grille, 1925 Madison Square Blvd., La Vergne, TN on Monday, February 14th from 8:30 p.m. to 11:30 p.m. for appetizers and fun provided by The Tanning Boutique. No plans for Valentine’s Day?? Stop by Willstan’s & enjoy some appetizers on us! Come hang with friends, eat some good food, & of course earn a little FREE TANNING!! We’re débuting our NEW prices & Menus!! & We’ll be giving away Tanning Visits & Bottles of Lotion!!! Invite your friends along too! The person who brings the most people will get an additional special gift from TTB!! Hope to see everyone out at Willstan’s next Monday, here’s the link to TTB facebook page. Posted on November 22, 2010 by Kathy T.
I just hated having to leave first meeting of the new Board following the Swearing-In Ceremony for our new Mayor and Aldermen last Thursday – especially since I heard there was very interesting discussion regarding the city’s water treatment plant. Suffice to say, the problems that were discussed will be fixed … and fixed sooner rather than later we all hope! However, I had to leave because my family and two friends were piled in the car waiting for me. I kept them waiting a little while – trying to squeeze in to see who was elected Vice Mayor (and congrats to Chris Farmer). 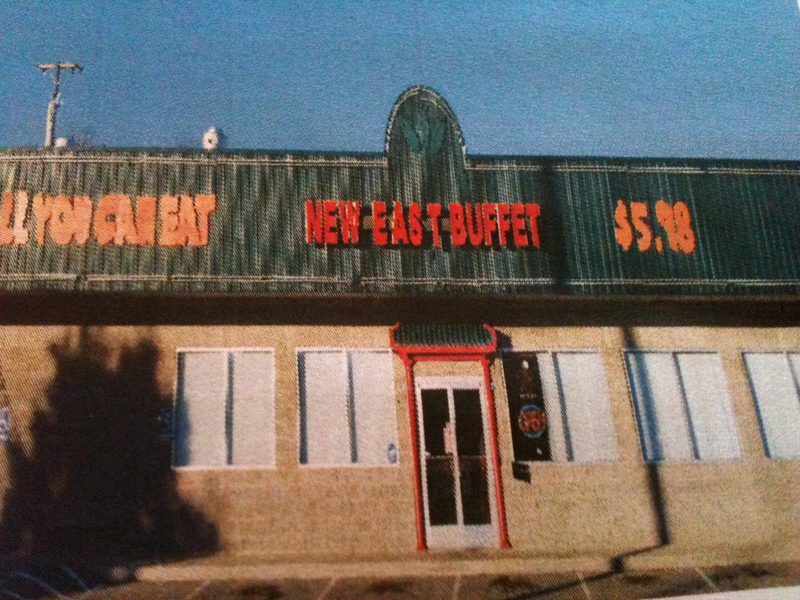 When I did make it out to the car, we drove to the new “New East Buffet” for dinner. We were there about 7:15 p.m., so not so late that the food was “old” (you know how buffets can be). Last time I wrote a review of that location, I said I wanted to like it. Honestly, I really didn’t. Previously it did not “Wow!” me and I actually ended up with a very upset stomach later than evening. So the best I could say was that I wanted to like it. When I ate there on Thursday with my husband, youngest daughter, and two friends the dining experience was MUCH improved. There were no anxious trips to the porcelain throne for me – thank heavens! The food tasted so much better. It tasted fresh. I have very boring taste buds, so extra spicy and me are not friends. The food was satisfactory for me, so other might prefer the spiced up versions more. 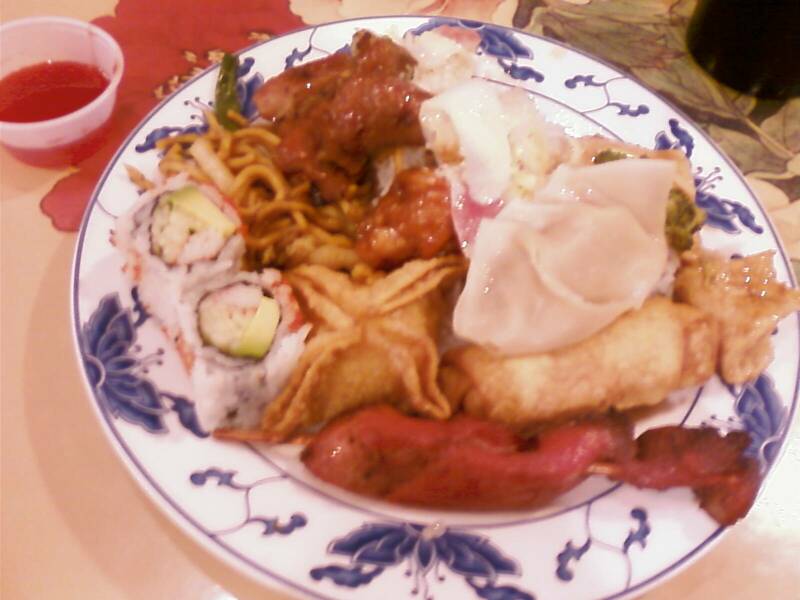 In full disclosure – I also avoided the spicier foods on the buffet like the pepper chicken, general tso’s, and anything that looked like it had the little red peppers on top. The selection was good, though fairly standard. What was missing were the big boiled crab legs (which is probably why they can afford to charge $5.98 all day). They did offer crab meat, though, through other dishes. There were my two favorite noodle dishes – a lo mein noodle and a wonton-type noodle (the thin one), as well as steamed white rice and fried rice. Since it was Thursday since I ate there, this list is no where near complete but I recall: broccoli with beef, broccoli with chicken, general tso, sesame chicken, three types of egg rolls (spring rolls, egg rolls and one other), fried chicken wings, long green beans, some fish dish, crab rangoon (OMG SOOOO GOOD), wonton soup, shrimp dish (maybe coconut shrimp), peanut chicken, sweet & sour chicken, and lots more. There was a salad bar with lettuce, pudding, and lots of canned fruits (peaches, apricots). There were a couple of what looked like California Rolls (sushi) but I passed. Also different kinds of little cakes and pudding, as well as ice cream and Chinese donuts (the sugar dough balls). I chatted with two of the owners as we were leaving and they said they’ll be introducing in December or the first of January a program called “Senior Monday” where diners over 55 years old can eat for $5 and it includes drinks. The restaurant has a party room – free to use for up to 50 people. In addition, you can take advantage of a take-out buffet which is $2.99 p/pound all day. All in all, I did like it. I’ll definitely go back to this one without fear. Try it and let us know what you think! Photo from the front of their take-out menu because I haven’t sauntered by with camera in hand. Posted on September 30, 2010 by Kathy T.
I had the opportunity yesterday to have lunch at LaVergne’s Mixed Grill Gyros located at 5118 Murfreesboro Road. Another friend had recommended the restaurant when I picked her up for an evening of working at Bridgestone Arena… we always eat before we go because the complementary “jumbo all beef hotdog” we get for working just doesn’t quite fill you up when you work on your feet for eight hours (+/-). My friend who recommended the place was chowing down on a mixed gyro and I was salivating on my steering wheel, despising the cold slice of pizza that was my before-work-meal. So yesterday was finally the day to go! Another friend and I arrived around 1:00 p.m. and there was another group of about five adults and a handful of children there (so yes, it’s family friendly). The worker at the cash register was very courteous and happy to take our orders. I asked if they could make a Philly Cheese Steak sans the onions and peppers because I am a five-year old when it comes to eating. Hahaha… just kidding (but mac & cheese is pretty good). They were very happy to accommodate me and I also ordered a side of fried mushrooms and water (I’m also a cheapskate!). 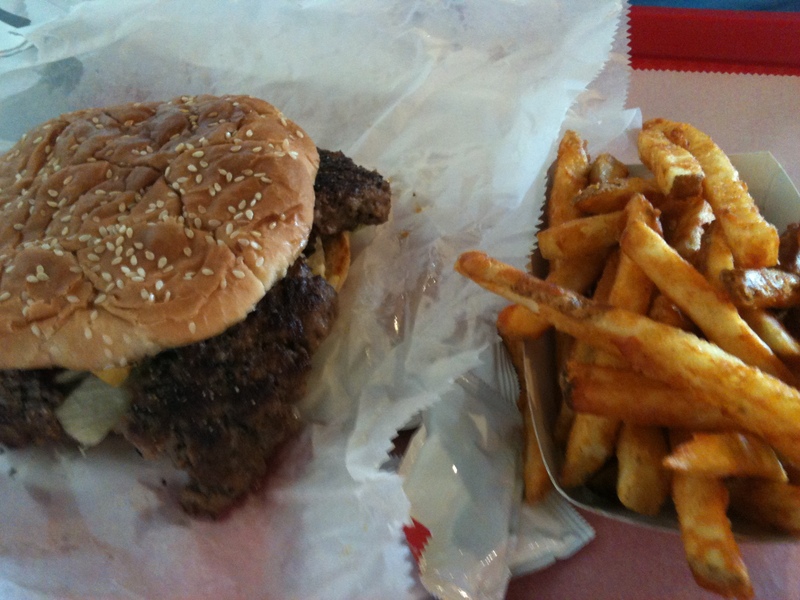 My friend ordered the 1/2 pound burger, fries, and a soft drink. I liked the restaurant because at no time did the workers act stressed. I hate going out to eat and hearing management yell at or boss around their employees. Everyone there seemed perfectly happy… happy workers = happy food. The food came and it was WONDERFUL! The meat for my Philly Cheese Steak was trimmed right then and there (no frozen deli meat microwaved on the spot). The mushrooms inside were nicely peppered and the cheese was perfectly melted. 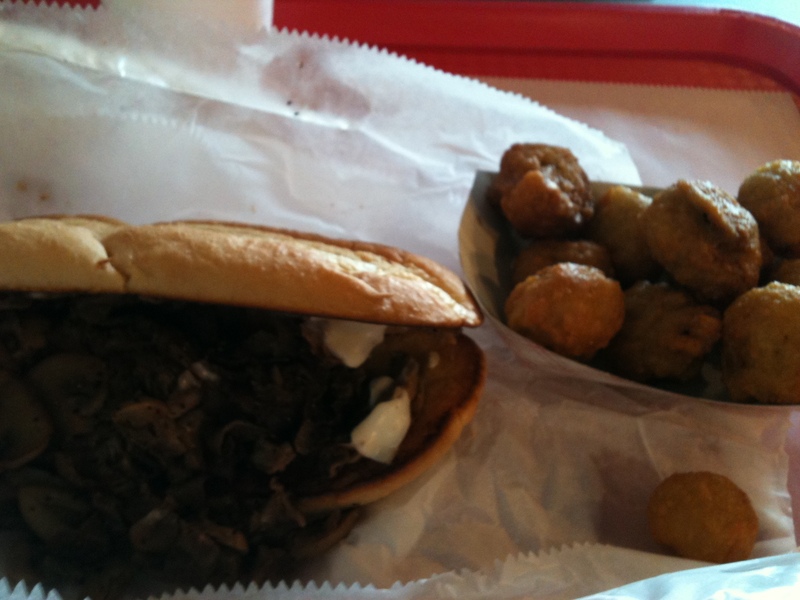 The fried mushrooms though… those are what will keep me going back for more. They weren’t so hot that my mouth was burnt and the side of horseradish was nice (okay in a little rectangular package but still … at least they offered it). I thought mine was good, but then my friend’s burger came out. I admit that I was just a tad jealous. Her burger was huge! She swore she couldn’t wait to tell her husband about it because apparently he is a burger aficionado. She promised she’d be back with him. Side items include chicken wings, chicken tenders, chicken nuggets, jalapeno poppers, fried mushrooms, cheese sticks, onion rings, french fries, side rice, and hummus. There are also salads: Gyro salad, Comb salad, chicken salad, Tabbouleh Salad, and Greek salad. Here’s the best part… they have desserts!!! Ice cream cone, ice cream cup, BAKLAVA (omg…), Berma, and ice cream shakes. 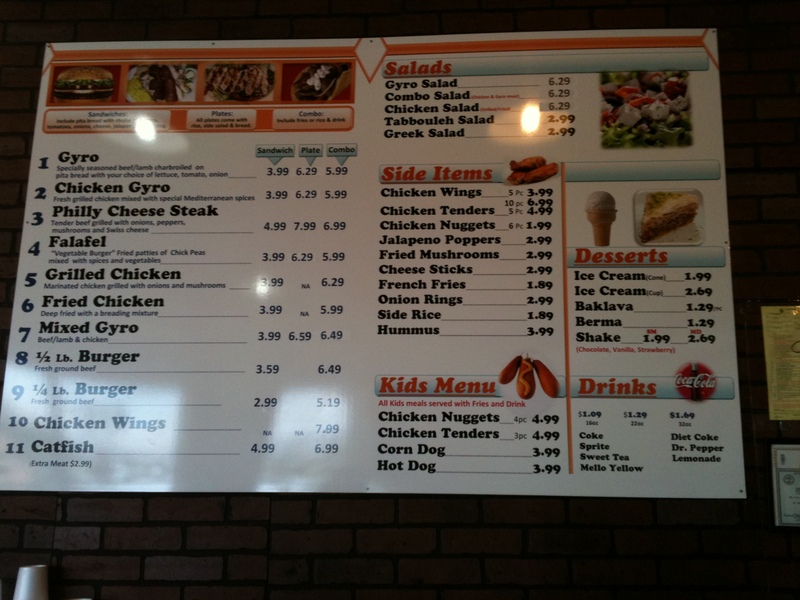 If you get a chance, please do stop by Mixed Grill Gyros (Tel: 471-1670) and tell them This is LaVergne sent you. Let us know what you think!! Posted on March 9, 2010 by Kathy T.
I have been working a LOT lately at the Sommet Center Bridgestone Arena to raise money to pay for baton expenses for my daughter. The food vendor allows non-profit groups to operate the concession stands at games and events as a fundraising activity. To do this, we are required to have alcohol training annually to recognize signs of inebriation, what forms of photo ID are acceptable (and EVERYONE gets carded), and how to decline a customer if we feel they’ve had to much. And then they give us a written test that must be passed before we can work. I have a lot of respect that they’ve made every effort to train their workers because the safety of that customer AND other people should be the top priority. LaVergne police are cracking down on businesses that sell alcohol to teenagers. They conducted an undercover sting, where unsuspecting clerks and food servers took the bait. And then there was the exception: A liquor store clerk did not sell liquor to the teen. The clerk took it a step further, even getting the tag number and calling police, telling them a minor was going around town trying to buy alcohol. Thanks to our law enforcement officers who participated. For the record, as of today the date I’m looking for when I check an ID is March 9, 1989.